Need a full color cup? These reusable plastic cups are great for your full color design. 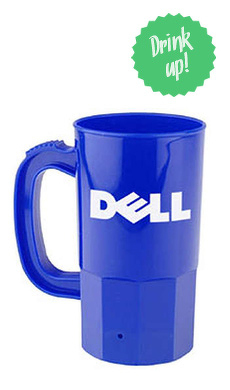 Designs can wrap around the cup making it possible to show off your logo at all sides. This cup is perfect for gatherings where you can send them home with people. These cups are great for at home use because they are dishwasher safe and very durable. These cups are great to store and be used over and over. Full color imprint and free set up. Also available in 12 oz cup. Made in the USA, recyclable, and made from FDA approved materials.